Elementary, My Dear, or Far From It | Seeing the Big Picture? Last Sunday a seven year old girl was shot and killed. She was in her car with her mother and siblings in a Walmart parking lot in Houston, Texas. 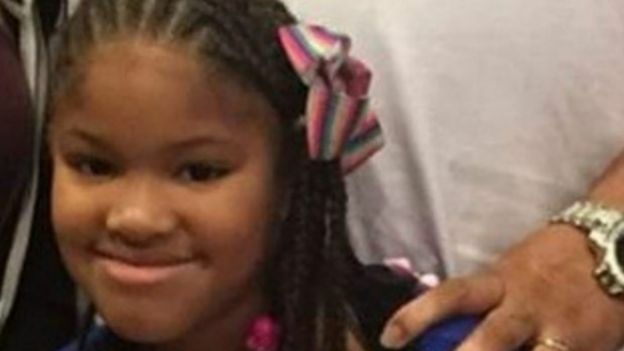 Her name is Jazmine Barnes. This is her. Since Sunday I have seen news of this killing on twitter again and again. It is a story I could not have missed. As a result, I assume that it is a well known story. I have a tendency to believe that if I am aware of something or knowledgeable about something (outside my professional area of expertise) then it must be something that is common knowledge. I am wondering how true this is. Is Jazmine’s story known to a significant percentage of people in the US? A quick google search shows articles from a decent range of news organizations: CNN, BBC, Washington Post, NPR, The Guardian (interesting that the first page of results for me showed up with two British news organizations). But while the story seems to have been covered by many organizations, it doesn’t seem to have gotten that much coverage. As I reflect a little more, I realize I’ve seen Jazmine’s story on twitter many times but I’m not sure I’ve ever seen it on Facebook. There is some overlap in the people I see on those two platforms, but not a ton. Facebook tends to be family and people I see in my daily life while twitter is more professional, a place I follow educators from across the country and around the world. On Facebook I know most of those people in person and have known many for quite a long time. Twitter is the opposite. While I know some of those folks in person, most are people I only know online (or have only met briefly at conferences). Twitter exposes me to a wider range of experiences, stories, knowledge, and more. I’ve worked to be sure I follow a range of brilliant people there who help me learn about the world in ways I would not otherwise. So I’m left with a sense that I don’t know what is actually widely known and what is not. I can accept that. What it means for me, I think, is that I need to stop assuming stories are widely known and share them more. I need to err on the side of sharing too much rather than not enough. Especially stories like Jazmine’s. Stories that I believe need to be seen by many.